Made to Order Item-Non-returnable: Required Usually ships in 2-3 weeks. In stock items will ship in 1-2 business days or with the balance of your order. Perfect for casual wear, added warmth under a sweater or jacket. Great for decorating your own doggie tank. Affordable and a great addition to your dogs wardrobe. High quality knit fabric with double seaming for added durability. Made of 50/50 Cotton/Poly blend for minimal shrinkage. Sleeveless. Sizes 8" - 26" length. Fits Toy Breeds to Extra Large Dogs! Available in fabulous colors you'll want more than one! Lettering is done by hand with stencils. Customized items can take up to 2 weeks especially between October - January. 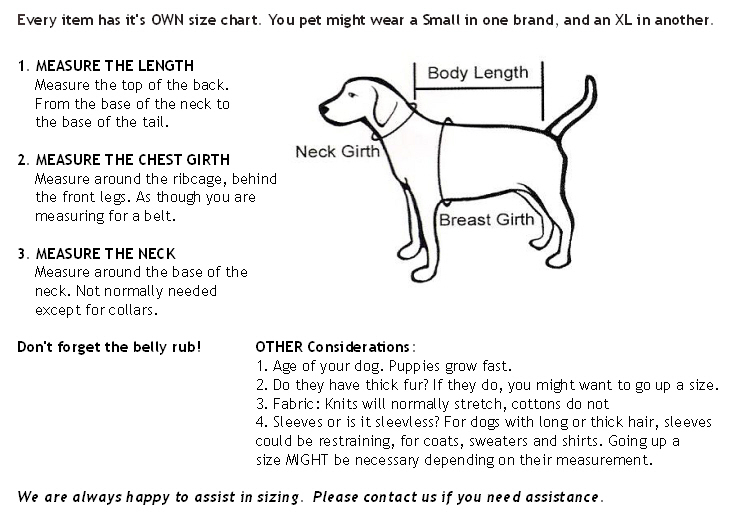 PLEASE TAKE THE TIME TO MEASURE! For assistance, click on the HOW TO MEASURE TAB above. Or contact us and we will be happy to assist you. 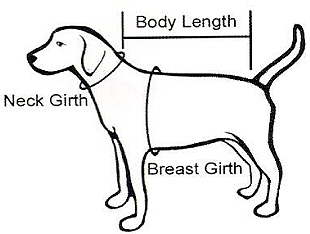 *** The Girth then the Length are the Most important measurements.